Police investigating the death of a 13-year-old boy found unconscious in a park say "illegal substances" could have been a contributing factor. Carson Price was found in a park in Ystrad Mynach, South Wales, around a mile from his home in Hengoed on Friday evening. On Sunday his family released a short statement saying: "Carson was bright and caring, kind and loving, he was a cheeky little boy. "He was the best big brother and was loved and will be missed by so many." Gwent Police also confirmed on Sunday "illegal substances" were being considered as a contributing factor to the boy's death, which is currently being treated as unexplained. Detective Chief Inspector Sam Payne said: "Although we await official medical confirmation of the cause of death, one of our main lines of inquiry focuses on illegal substances being a contributing factor. Specialist officers continue to support Carson's family through this difficult time. "I'd like to appeal again for anyone who has information that could help with our inquiries. If you can help, please call us on 101 quoting log 523 12/4/19 or you can call Crimestoppers anonymously on 0800 555 111. Alternatively, you can send a direct message with information via our Gwent Police Facebook or Twitter social media pages." The teenager was found close to a rugby pitch at about 7.20pm in Ystrad Mynach Park on Caerphilly Road. He was taken to University Hospital of Wales in Cardiff where he was pronounced dead. 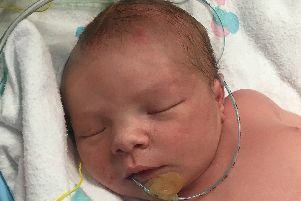 His mother, Tatum Price, wrote on Facebook on Saturday: "I'm broken, my life is over. Please help find out who sold these drugs to my son. My life is ruined, my baby gone." Christopher Parry, head teacher at Lewis School Pengam, said pupils and staff were "devastated" by the death. On Saturday, Mr Parry said: "It's with immense sadness that today I heard the news that one of our pupils has passed away. "We are all devastated by this tragic loss. We will be providing support for pupils in the weeks ahead, but in the meantime my thoughts and prayers are with the family. There are no words."